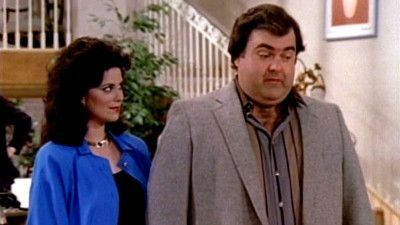 Here's where to watch every episode of Designing Women season 1. Mouseover or tap an episode to see where to stream it. Click or tap the play icon to stream it on the best available service. 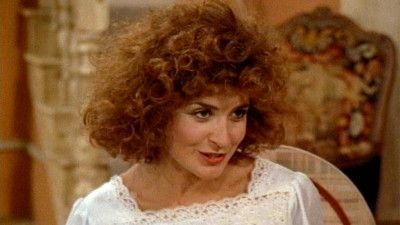 Designing Women Sep 29, 1986 Suzanne visits a new gynecologist, Mary Jo's ex-husband Ted, and a maelstrom of emotions is unleashed when she announces she is dating him. The Beauty Contest Oct 6, 1986 Charlene sponsors Mary Jo's daughter in the Miss Pre-Teen Atlanta contest, and despite her depression over her own upcoming 30th birthday, Suzanne coaches Claudia on how to walk and smile. 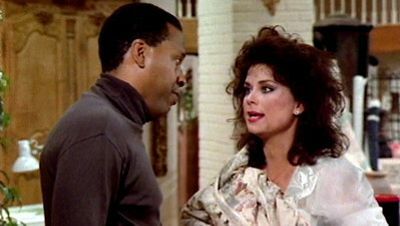 A Big Affair Oct 20, 1986 Suzanne's intimate dinner party, planned to impress an important client, goes awry before it begins when she arranges a date between a more-than-hefty man and a reluctant Charlene. Julia's Son Oct 27, 1986 Julia's nineteen-year-old son, Payne, is bringing his girlfriend home from college for a visit, and Julia wants everything to be perfect for her ""baby."" Payne then presents his girl, Primmie, who is tall, attractive...and forty years old! 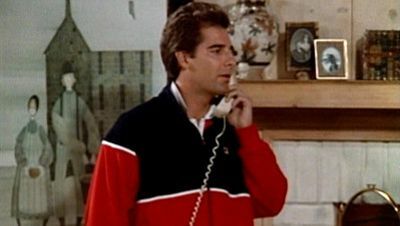 Mary Jo's First Date Nov 3, 1986 Concerned that Mary Jo hasn't dated since she and Ted broke up, Suzanne arranges a bind date for her with an old acquaintance, J.D. 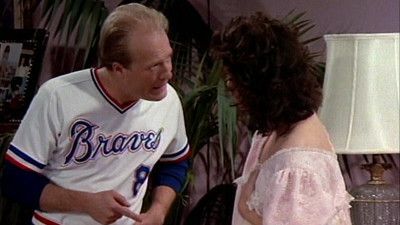 Shackelford, head scout for the Atlanta Braves baseball team, while Julia struggles through an I.R.S. audit conducted by the same Ray Don Simpson who tried to pick up the women at a restaurant and suffered a tonguelashing from Julia. 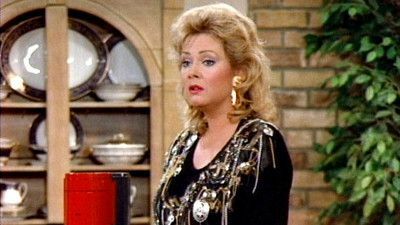 Design House Nov 17, 1986 Since Suzanne has money invested in Sugarbaker's and is tired of her image as a front bimbo for the firm, Julia assigns her to do the decorating of their next project. Unfortunately, the house burns to the ground while Suzanne is working on it. Perky's Visit Nov 24, 1986 Perky Sugarbaker, Julia and Suzanne's mother, and her friend Bernice hope to escape the dull routine of their lives in the retirement home by joining the girls and their ex-con handyman Anthony for the festive occasion, considering it an exhilarating change. I Do, I Don't Dec 4, 1986 The dinner is perfect, the champagne flows, Julia is presented with a single rose, and on a lark she and her current beau Reese get married. The next morning both parties regret their hastiness, and Reese appears with annulment papers. 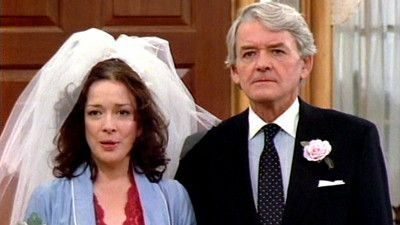 An argument ensues, and Julia finally agrees to sign the papers, thereby annuling their marriage and their entire relationship. 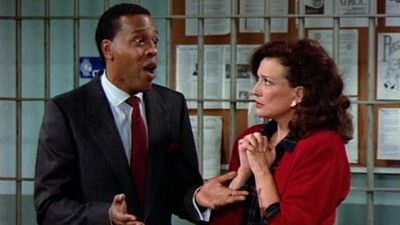 The IT Men Dec 11, 1986 When her boyfriend Mason takes a job in Japan, Charlene finds she has chemistry with another man, a man who happens to be married to one of the Sugarbaker clients. 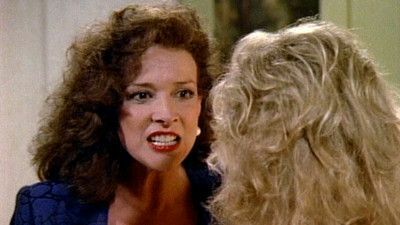 The Slumber Party Dec 18, 1986 Arriving at work one morning, Suzanne tells Julia, Mary Jo, and Charlene that when she tried to fire her maid, she put a voodoo death curse on her and proclaimed that Suzanne would be gone by midnight. Mary Jo invites Charlene, Julia and Suzanne to help her with Claudia's slumber party. New Year's Daze Jan 1, 1987 It is New Year's Eve, and everyone is dressed in their finery, anticipating a fun-filled night on the town. The identity of Charlene's date is kept secret until a news flash reports that the infamous ""Shadow"" is the subject of a massive manhunt. 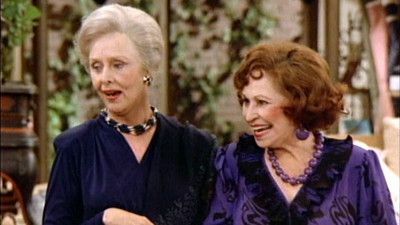 Old Spouses Never Die (1) Feb 1, 1987 Mary Jo is brooding about her ex-husband's interference in her life, while Charlene distrusts her doctor's cavalier attitude toward the lump he found in her breast. 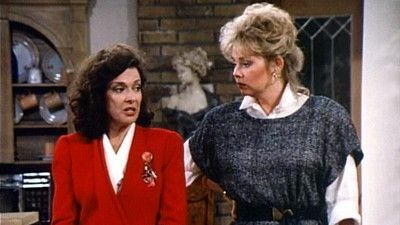 Old Spouses Never Die (2) Feb 8, 1987 Mary Jo is brooding about her ex-husband's interference in her life, while Charlene distrusts her doctor's cavalier attitude toward the lump he found in her breast. 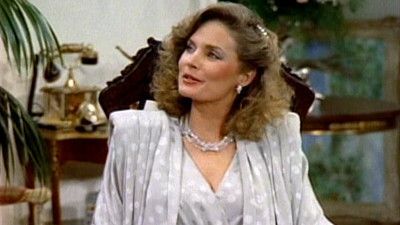 And Justice For Paul Feb 22, 1987 Suzanne picks up a client who wants period furniture on a shoestring budget, and the Sugarbaker women find that antique furniture at bargain prices is no bargain. 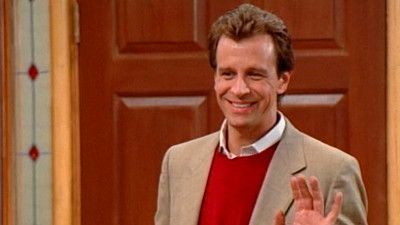 Reese's Friend Mar 16, 1987 A disagreement over the theme for the annual country club fund-raiser has Julia and Suzanne at odds, but the quibbling is forgotten when Reese appears with a gorgeous young women on his arm, explaining that she is a new attorney in his law firm. Nashville Bound Mar 23, 1987 The news that Charlene's family--all ten brothers and sisters--will be in town at the same time is overshadowed by the news that she is going to become a recording star! Oh, Suzannah Apr 6, 1987 While in Reese's office to sign legal papers, Suzanne off-handedly volunteers to keep a Vietnamese boat child, Li Sing, who is being adopted but needs an interim home for the next four weeks while final papers are being completed. Suzanne becomes attached to Li Sing quickly and doesn't want to give her over to her new family. 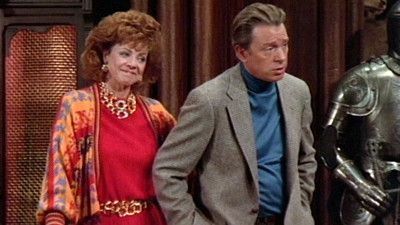 Mary Jo's Dad Dates Charlene Apr 13, 1987 When Mary Jo's divorced father arrives in Atlanta for a four-day visit and dances cheek to cheek with Charlene, Mary Jo becomes very protective. Seams From a Marriage May 4, 1987 When Anthony saunters into the shop wearing an enormous cowboy hat, followed by a breathless Mary Jo who has obviously been out all night as she is wearing the same clothes ahe had on when she left the day before, the others clamor for an explanation. It seems their appointment with Sugarbaker's newest client turned into an all-night bash, complete with Cajun buffet and country-western band. 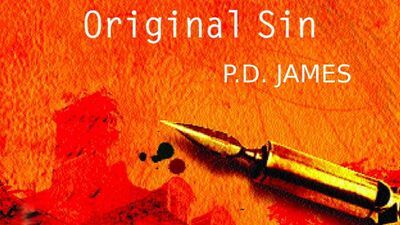 Grand Slam, Thank You Ma'am May 11, 1987 Suzanne's baseball player ex-husband, Jack Dent, writes in his autobiography that he had more groupie action than all the rock ""n"" roll bands in North America, and Suzanne vows revenge. Bachelor Suite When Mary Jo undertakes the decoration of Hence Winchester's new home, she finds herself the object of sexual harassment by her wealthy client.